We worked with Pride in London to build an open source platform for their new app, allowing the community to celebrate and contribute all year round. 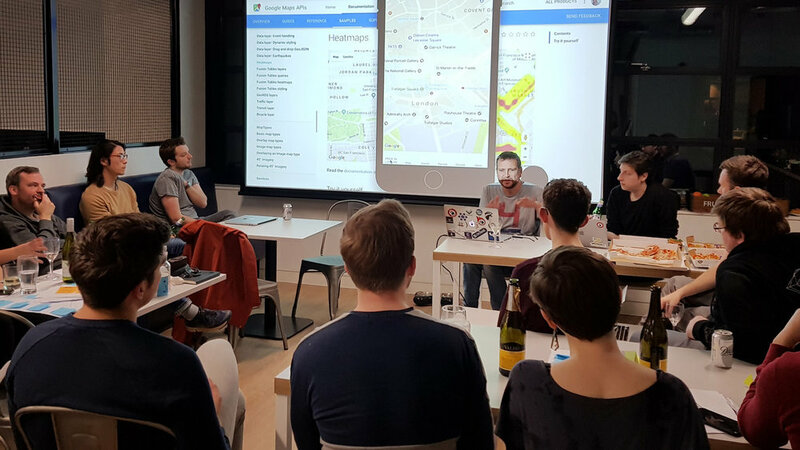 Read how we used React Native to deliver a fully functioning mobile app across two platforms working as a cross-functional volunteer team. Pride in London is a non-profit, volunteer-led organisation which works to provide a platform for every part of London’s LGBTQ+ community and campaigns for freedoms that will allow them to live their lives on a genuinely equal footing. It’s the world’s largest curated LGBTQ+ festival with over 300 LGBTQ+ events, culminating in a Pride parade through Central London. Over 1 million visitors join the day, including 30,000 parade participants from all over the UK and abroad. Pride In London released their first app for the 2017 parade. 2018 saw more ambitious goals for the events and also the digital experience. Red Badger worked with Pride in London to define the vision for the project. As part of this we mapped a set of key requirements, at the core of which were inclusivity and accessibility, reflecting values and behaviour of Pride in London and respecting the diversity of the community they serve. The main requirement of the app was to encourage the discovery of the events and help Pride goers navigate the parade. Due to organisational challenges, we were not able to reuse the code developed for the previous app thus the product had to be built from scratch. As a business we've always been proud of the work we do and two years ago we decided to focus more on delivering social good, leading to us establishing a Social Value team. The Pride in London app was the perfect project to demonstrate what we could achieve by volunteering our time. At Red Badger we usually work in cross-functional teams, co-locating with our clients to enable short feedback loops and highly efficient teams. In a voluntary project this wasn’t possible and it was particularly challenging. At the beginning of the project we had volunteers from our Strategy, Branding, User Experience, Design, Delivery, Engineering teams and Pride in London, in the same room, collaborating on the product vision and roadmap. We agreed that the app had to be a place to promote and showcase the diversity of the 2018 festival and parade, help people discover, plan and get involved in events, while also making it simple and easy to use. We ran a branding workshop early on. 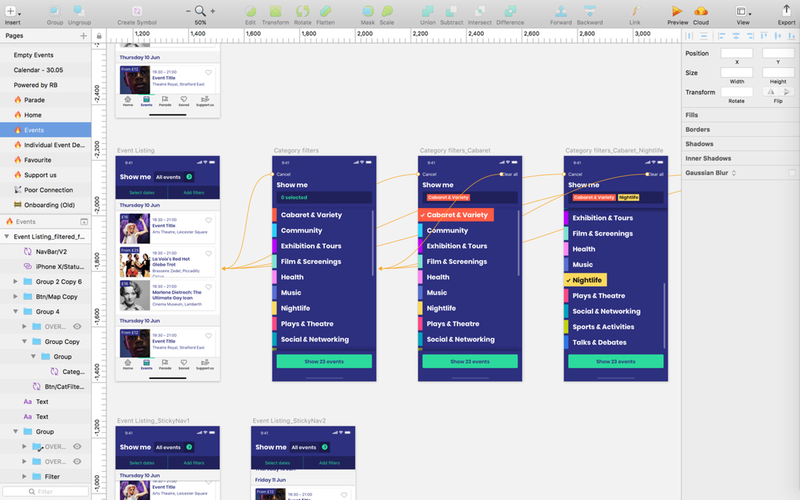 This helped define the design approach and the creative vision for the app. Our approach centred on a richer, more cohesive experience for the user. The team was made up of volunteers who worked in different locations so as the project progressed, the main communication channels were Slack, Trello and Github. To build and maintain momentum we set up weekly after hours meetings and ran Saturday Pride Labs to give us the chance to work together more closely. It allowed us to build a shared understanding across the disciplines – but more than anything the energy we had in these sessions did a huge amount to propel the project forward. When looking into which tech would be best to deliver a fully functioning app across two platforms, React Native came up top. Firstly, it meant we could open source the project and give back to the tech community which we collectively rely so heavily on. Secondly, it meant that we could develop our skills and expertise in a growing technology that has incredible potential for the future – not just for Pride in London, but for our other clients too. Thirdly, given tight timelines, we could deliver a minimum desirable mobile product for both iOS and Android platforms quickly, and iterate from there. As with all tech, React Native has both pros and cons. Starting with the positives, it allows for greater efficiency as the team only works on one code base for both platforms. Our team has a lot of experience in delivering projects with React, but the learning curve in adopting React Native was fairly steep. That said, those skills are already being applied on some of our client projects. As can be expected with less established technologies there were performance issues that we had to solve. Overall, React Native was the right choice, allowing us to deliver a beautiful and functional app in under 6 months time with limited number of volunteers who were working out of hours. Proud is the word that best encompasses the ethos of the project. We’re incredibly proud of the quality of work and the product we delivered for Pride In London 2018 festival. You can read more about our work for Pride in London in our in-depth blogs on Branding, UX, React Native, Open Source and Delivery. Are you a charity or NGO looking for help with your project? Our social value team offer pro bono or reduced rates. Please contact us at socialvalue@red-badger.com.